All sale proceeds benefit animals in rescue. 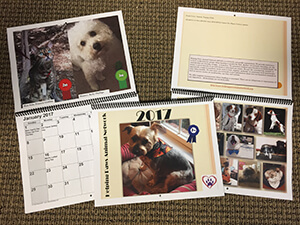 Choose from high quality, cotton t-shirts, card-stock memorial certificates, or a beautiful monthly calendar featuring the loyal pets of HPAN supporters and winners of the annual HPAN photo contest. High-quality, cotton t-shirt in a variety of colors. Choose from Small to Extra-Extra Large (measured in men's sizes). Non-returnable after 30 days of placing your order. 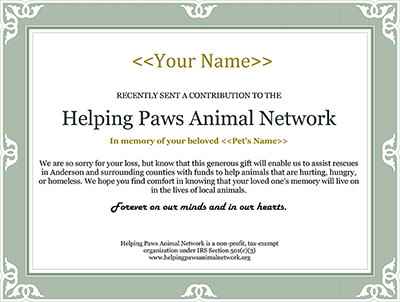 Card-stock certificate in memory of or in honor of a pet or loved one. 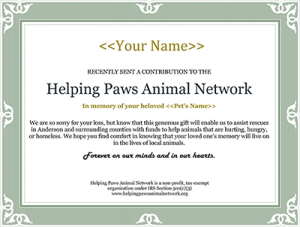 You can make an anonymous donation, or let the animal parent or family member know of your commemorative gift. 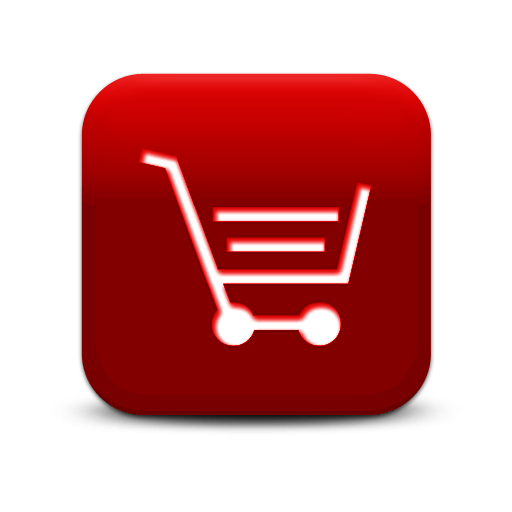 Please enter address to send acknowledgement card to in the "Add special instructions to the seller" field at time of checkout. Yes, send a card to acknowledge my gift. No, I would like to donate anonymously. 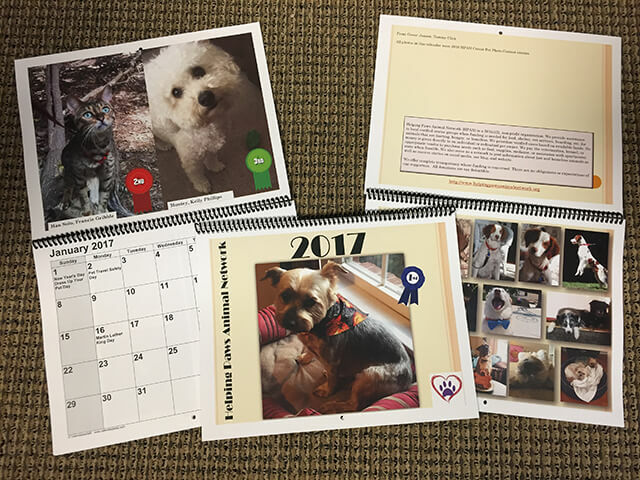 Beautiful annual calendar, featuring the loyal pets of HPAN photo contest winners.